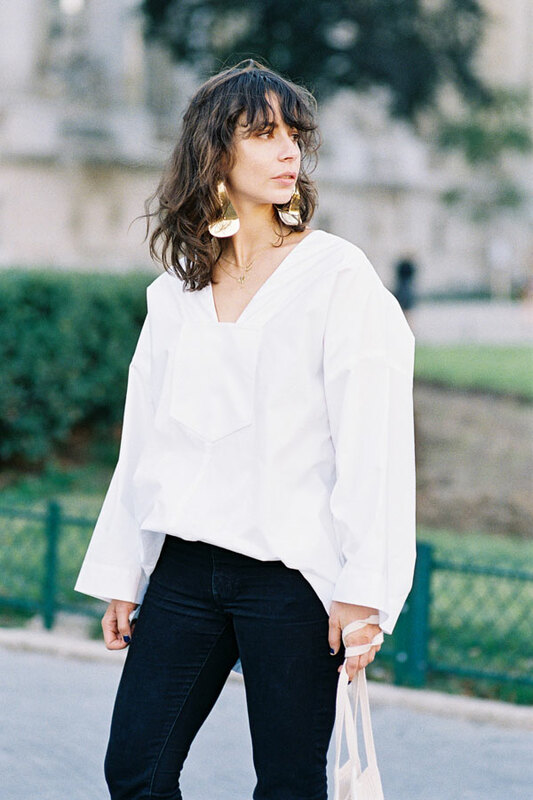 Irina Lakicevic, after Akris, Paris, October 2015. Thanks @anon for letting me know Irina's name. I think her name is Irina (I hope, anyway!) and I love her style. That string bag? SO cool. And combined with her fabulously tousled hair and those oversized Celine earrings. Fabulous. Thank you so much Anonymous!!!!! Much appreciated! !